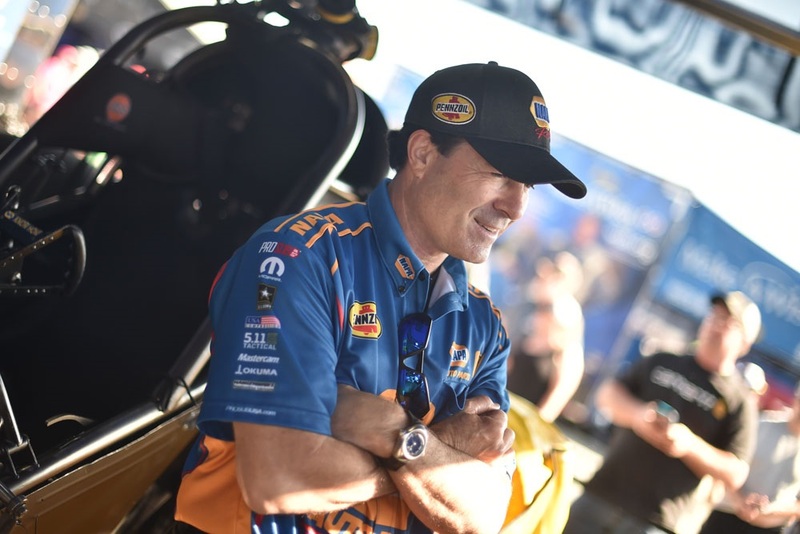 Ron Capps faced tough competition in two former world champions on Sunday at the NHRA Southern Nationals. 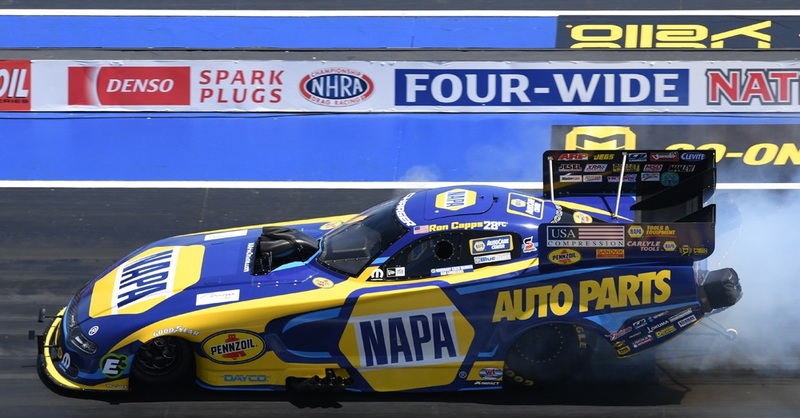 Tricky track conditions gave way to two tire-smoking runs, but Capps’ expert driving skills earned the NAPA AUTO PARTS Funny Car team a round win at NAPA’s home track. 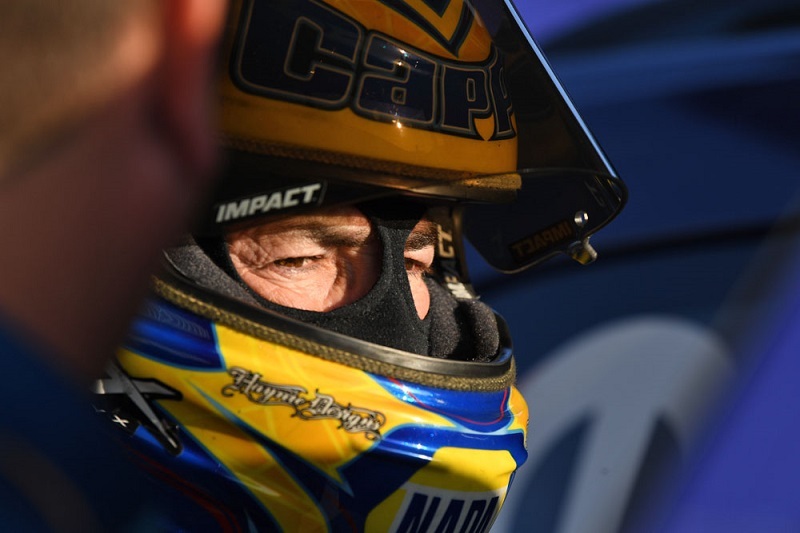 Capps qualified twelfth for the 38th annual NHRA Southern Nationals at Atlanta Dragway in Commerce, Ga. 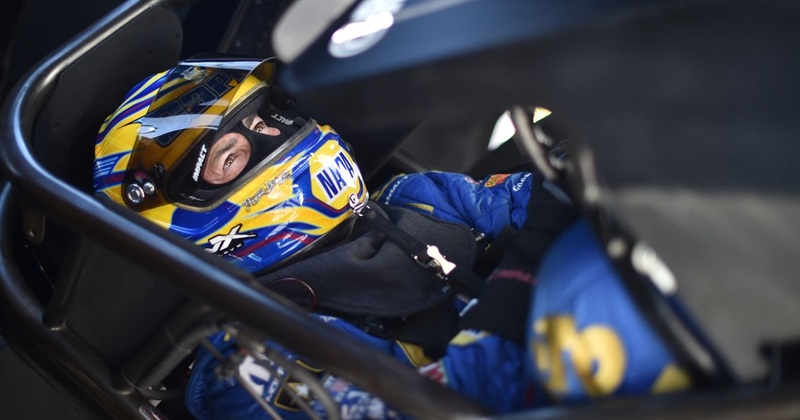 The two-time Atlanta race winner and defending event champion opened eliminations by facing off against longtime rival John Force. 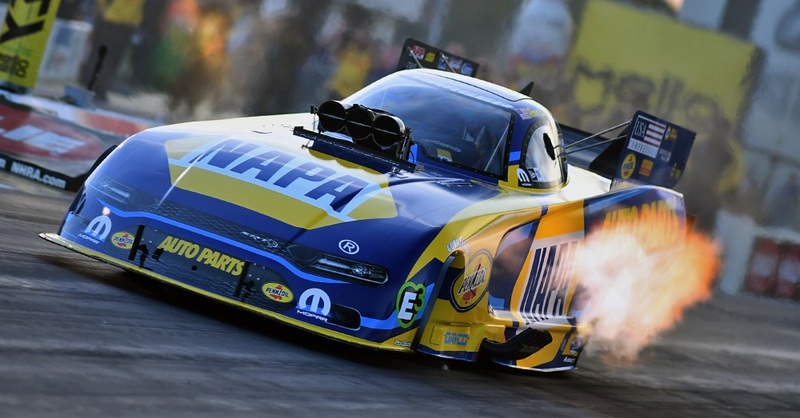 In the 92nd meeting between the past Funny Car world champions, Capps was first out of the gate but hazed the tires early into the run, allowing the No. 5 starter to make up ground by the 330-foot mark. 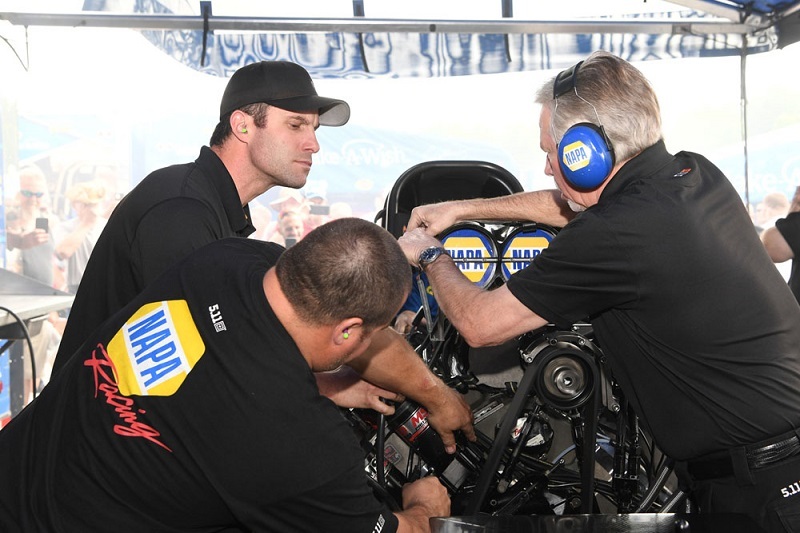 Capps expertly maintained control and was able to pedal his race car and regain traction. 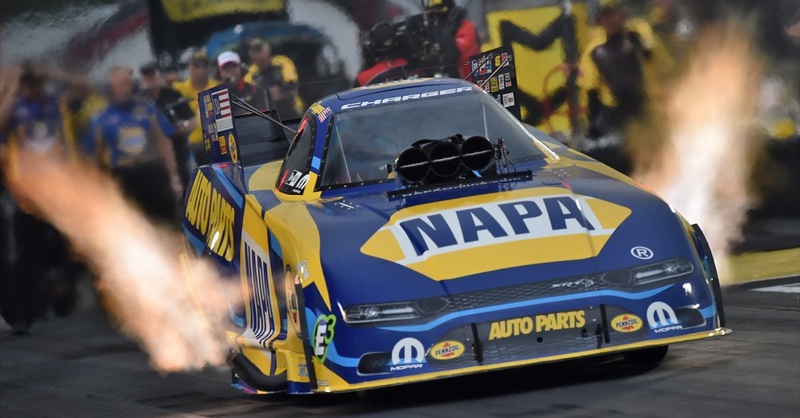 When Force, who was previously 0-3 versus Capps in their last three Atlanta matchups, struck the tires at 500 feet, Capps skillfully pointed his NAPA AUTO PARTS machine down the strip to claim the round win. 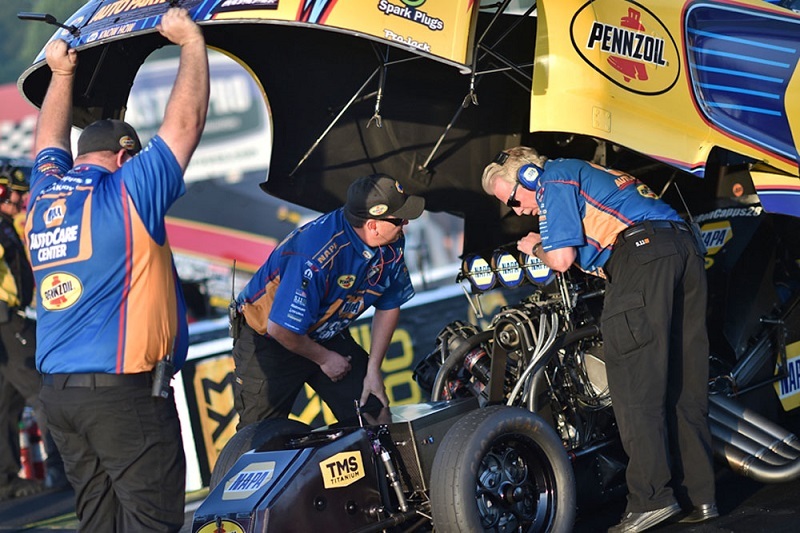 Capps’ bid for an Atlanta repeat ended in the quarterfinals against the most recent event winner, Cruz Pedregon. 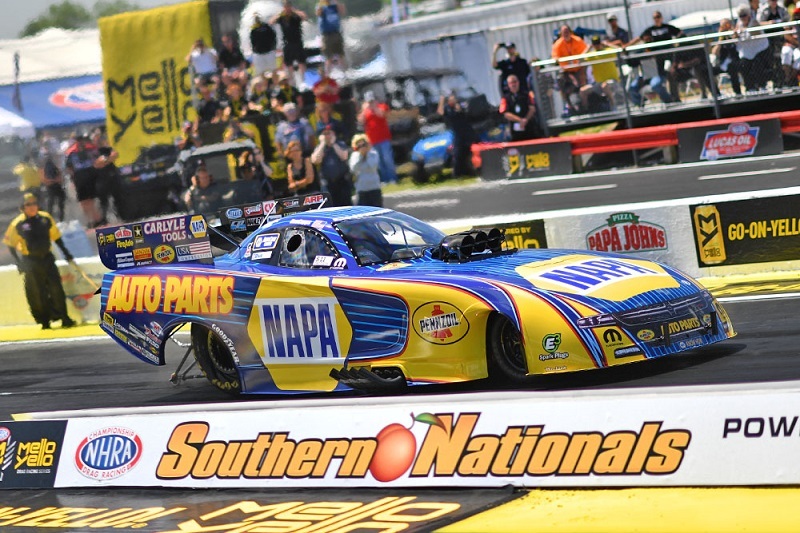 Capps was first off of the line once again, but lost traction early into the run and was unable to recover. He slowed to a 5.792-second at 119.76-mph run, and Pedregon was able to drive away with a clean 4.117-sec pass. 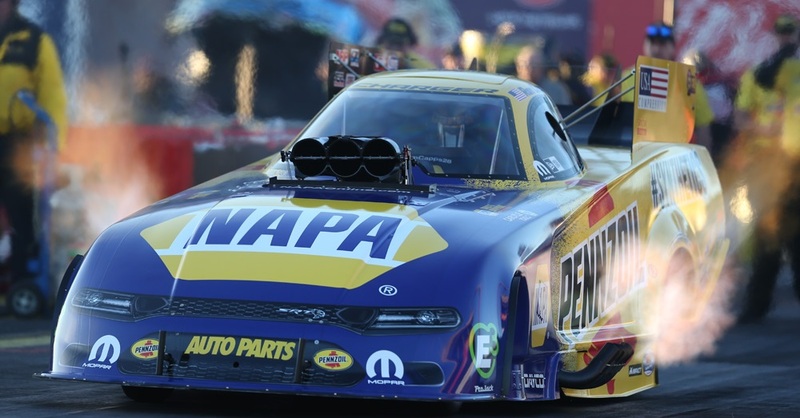 “We came in as the defending champions of this race,” said Capps, obviously disappointed he wasn’t able to race to his first victory of 2018 in his sponsor’s backyard. “It’s a tricky track with tricky conditions. We thought we were going to take the NAPA Dodge to the winner’s circle again this year, but we got stuck in the left lane. It’s a little more difficult to get down there. We had Cruz Pedregon, and he’s probably got the toughest car in the class right now.